Flash floods can occur within a few minutes or hours of excessive rainfall, a dam or levee failure, or a sudden release of water held by an ice jam. Flash floods often have a dangerous wall of roaring water carrying rocks, mud and other debris. Overland flooding, the most common type of flooding event typically occurs when waterways such as rivers or streams overflow their banks as a result of rainwater or a possible levee breach and cause flooding in surrounding areas. It can also occur when rainfall or snow-melt exceeds the capacity of underground pipes, or the capacity of streets and drains designed to carry flood water away from urban areas. Flood-hazard maps have been created to show the flood risk for your community, which helps determine the type offlood insurance coverage you will need since standard homeowners insurance doesn’t cover flooding. 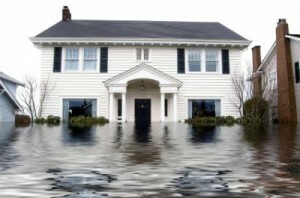 The lower the degree of risk, the lower the flood insurance premium. Flooding may have caused familiar places to change. Flood-waters often erode roads and walkways. Flood debris may hide animals and broken bottles, and it’s also slippery. Avoid walking or driving through it. Be aware of areas where flood-waters have receded. Roads may have weakened and could collapse under the weight of a car. Stay out of any building if it is su-rounded floodwater s.
Avoid flood-waters; water may be contaminated by oil, gasoline or raw sewage. Clean and disinfect everything that got wet. Mud left from flood-waters can contain sewage and chemicals. One of the finest, most reputable cleaning and restoration services in New York and new jersey is AllStates Cleaning and restoration, a company dedicated to its commercial and residential customers’ satisfaction. Affordable rates and prompt service are two key elements of this contractor’s success. Visit them today at www.floodcleanup-nj.info or 1800 dry now4.com for information about commercial services and price estimates, or to schedule an appointment with a company representative.